Arsene Wenger criticised his players after Arsenal's FA Cup defeat to Nottingham Forest and admitted it "hurts very much" to lose in the third round for the first time as Gunners boss. With Wednesday's Carabao Cup semi-final clash against Chelsea in mind, Wenger made nine changes to his team as only Rob Holding and Ainsley Maitland-Niles kept their places. It was still a side packed with international players which took to the pitch at the City Ground but the Championship club came out on top in an action-packed tie. Eric Lichaj scored twice either side of Per Mertesacker's equaliser before penalties from Ben Brereton and Kieran Dowell sandwiched Danny Welbeck's goal in a 4-2 win for Forest. The East Midlands side finished the match with 10 men after Joe Worrall was shown a straight red card in the final minute for a late challenge on Chuba Akpom. Wenger, the most successful manager in FA Cup history, winning it seven times since taking charge of Arsenal in 1996, felt his team were inferior to the hosts in every department. "I just think we were not good enough anywhere - not up front, in the middle or at the back - and we paid for it. 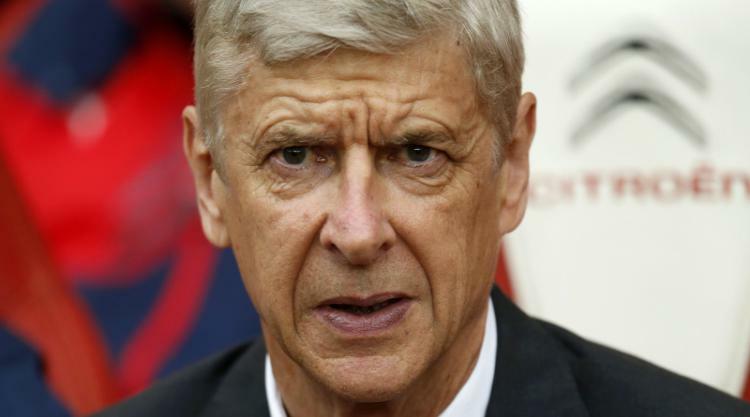 We repeated the same mistakes - once, twice, three times," said Wenger. "They (Forest) looked sharper. They had more chances and an outstanding performance. They were sharp, winning decisive challenges, and dangerous going forward, and overall they deserved to win, as simple as that. Overall I would like to congratulate Nottingham Forest. "It hurts very much because we have won the FA Cup three times in the past four years. "On the other hand it is a very difficult competition to win. But it hurts to go out in the third round - for the first time. But we knew it would be very tricky, it is a difficult place to come." Wenger's influence on matters was reduced as he watched from the stands. The 68-year-old served the first of a three-match touchline ban after being hit with a misconduct charge and a £40,000 fine by the Football Association for his recent, and very public, criticism of referees. Asked if his team missed his input from the technical area, he said: "No, I wouldn't say that." Neither would Wenger blame the number of changes he made for the defeat. He said: "We have had a difficult schedule. Many players were on the edge and we play again on Wednesday and I can understand that the selection was questioned. "But it would be an easy excuse as we had eight or nine international experienced players on the pitch. That would be the wrong excuse." Sunday's match was Gary Brazil's second in charge since being asked to step up from his academy role following Mark Warburton's sacking. The 55-year-old does not expect to still be in charge for Forest's fourth round tie towards the end of the month and will revert back to his role with the club's young players when an appointment is made. "I don't know how long it will be before there is some news but the communication inside the club is really good and we have been asked to take the first team on a game-by-game basis and we are really comfortable doing that," said Brazil. "Whoever does come in; whoever takes this job on - it is a really nice project with a good, fit squad to work with. It is a lucky person who will take this job on. It is not going to be me, though."